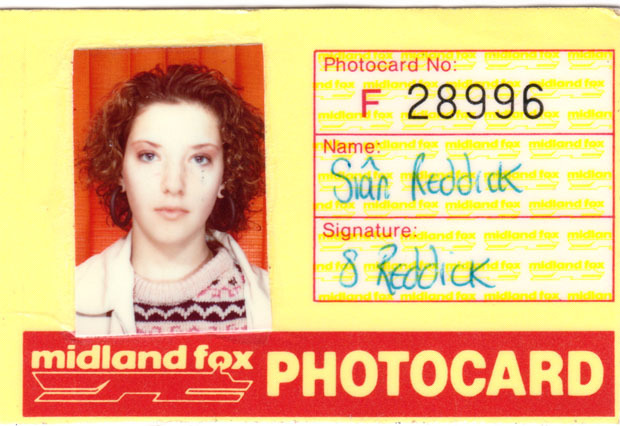 It would seem rude not to join in this weeks 80's theme over on The Gallery..
A fresh faced, fifteen year old me in 1987. I have to say I was quite cool back then (even if i say so myself). I was crazy into The Smiths and had a wardrobe full of vintage 1950's dresses that I wore with chunky knit cardigans and a pair of waxed brown Dr Martens shoes. It was a good look! Do check out the other perms going down in this weeks retro theme! Midland Fox? Is that you down to a tee?! You do look very cool, some people obviously just naturally 'have it'! Wow! Always a stunner then Sian?! Tara said I look miserable!! It was a good look - back then! The hair dos and fashion I wore in that decade make Amy hysterical with giggles!! Are you going to join in an post? Well as i'm now a natural blonde I guess not! ha ha midland fox, love it!!! You were cool, you look like something straight out of a brat pack film! you look great, i bet your wearing DM's too!